When I told my friends that I'm spending my weekend over in Resorts World Genting, they gave me the puzzled look and say, "What are you going to do there? The theme park is closed!". 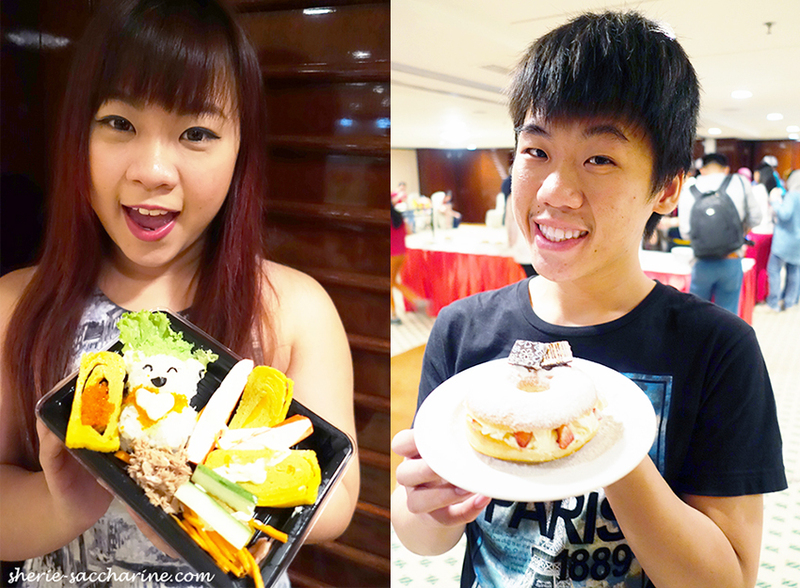 Victor (my brother) and I went Genting in 2013 for the theme park on Resort World's invitation too, and we had a lot of fun with fellow bloggers! So this time, we were quite confident that we will have a great time too! 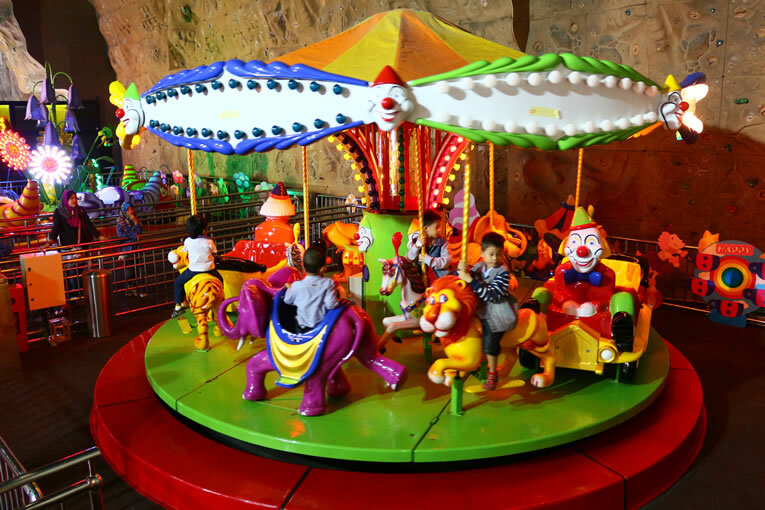 Here's a quick guide on how you can spend your weekend in Genting for some family fun! 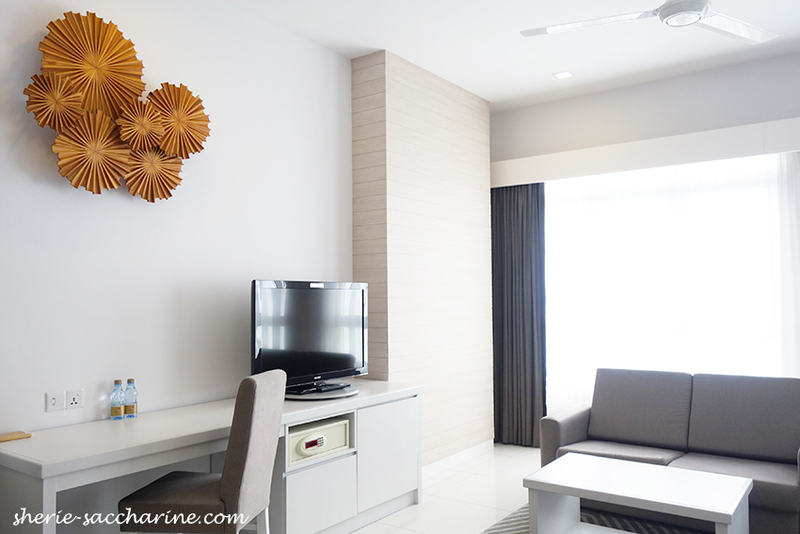 All thanks to the RM300 million renovations on First World Tower 2 Annex, we can all now enjoy a trendy and chic 3-star hotel with 5-star service! After a 7-hour overnight bus journey from Singapore (we reached Genting at 5am), Victor and I just wanted a good rest before we wake up for lunch. So we were relieved that the XYZ Room provides just that! 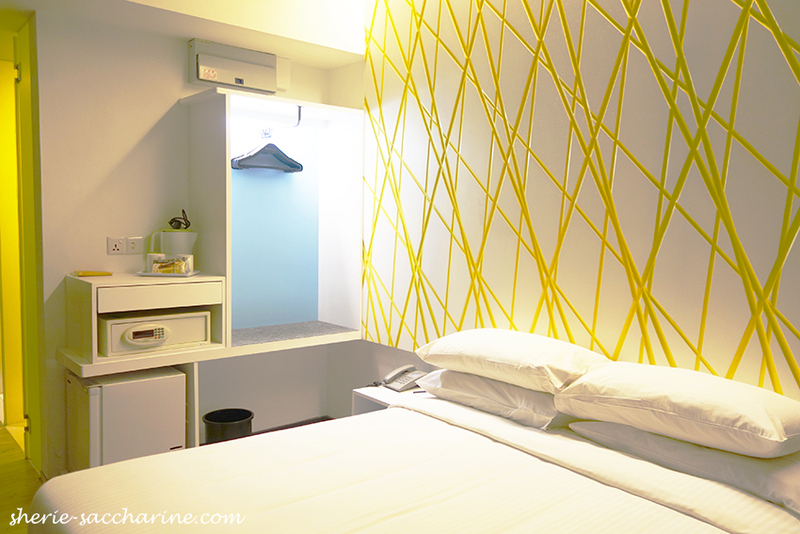 We entered a lively and vibrant room which really suits the young travellers! 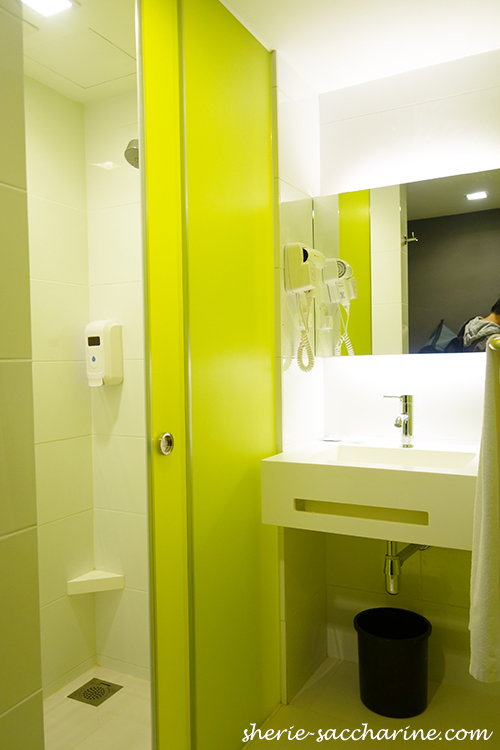 Instead of fighting for the bathroom with your room mate(s), you can each have a space of your own, as shower room, toilet and wash basin are now separate! OH YA! 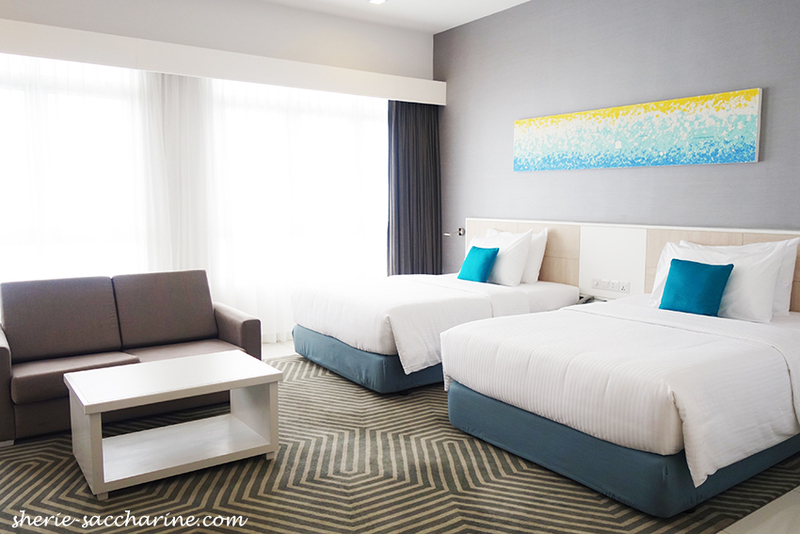 If you are looking for a room suitable for family, you may prefer the WorldClub room which is much bigger, prettier, and offers 1 Queen and 1 Single bed, a comfy 2 seater sofa, and 1 bathroom. 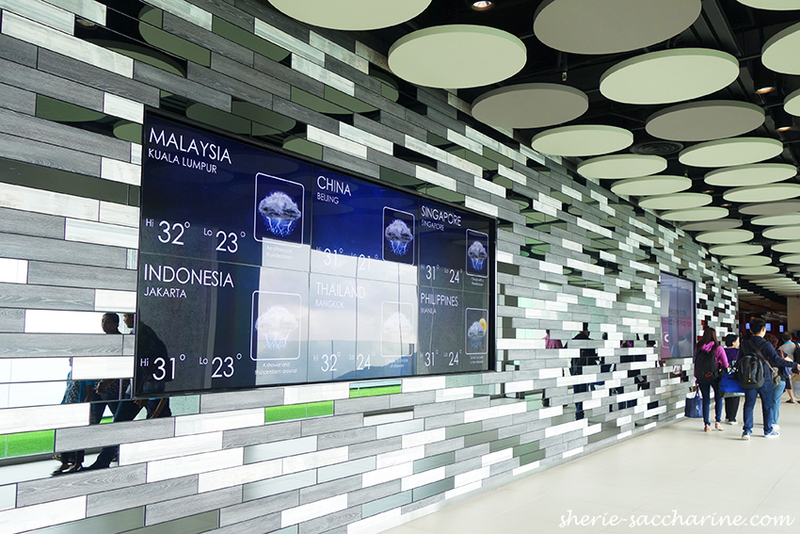 Check out the beautiful chic Lobby! 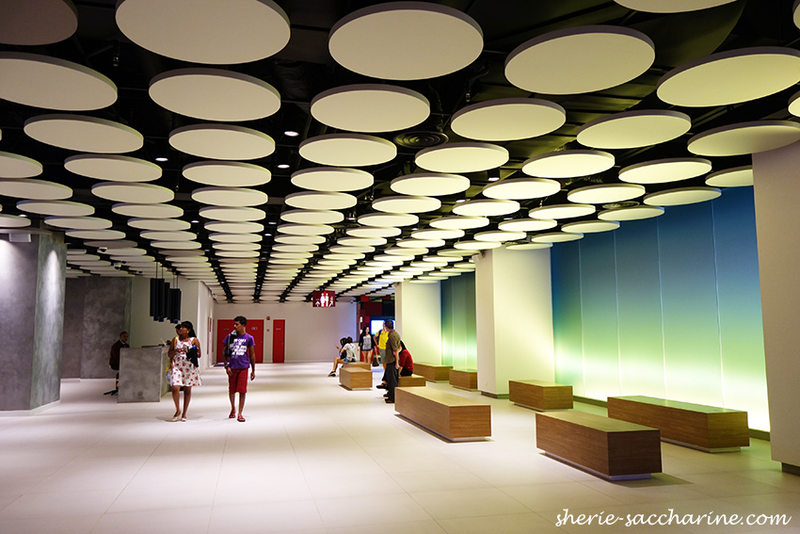 Love the colours and the spacious sitting area with 3D circular ceiling! 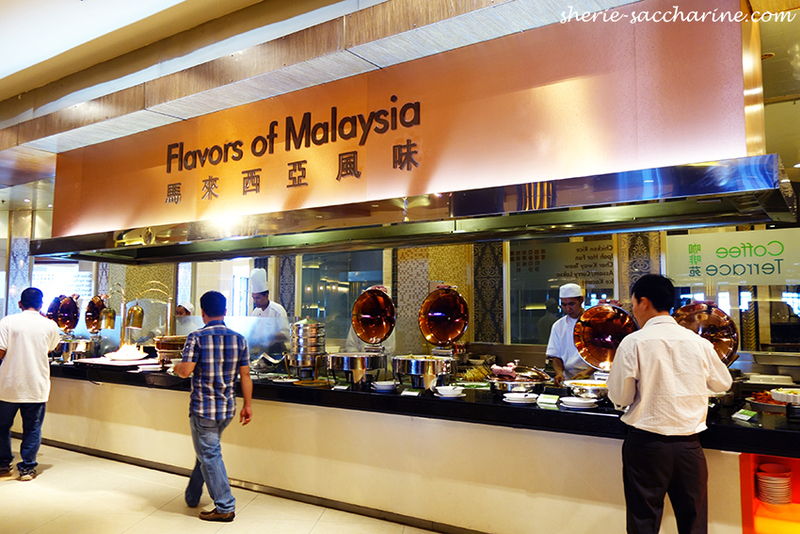 The room are sold without breakfast so you can savour the wide F&B varieties in Resorts World! 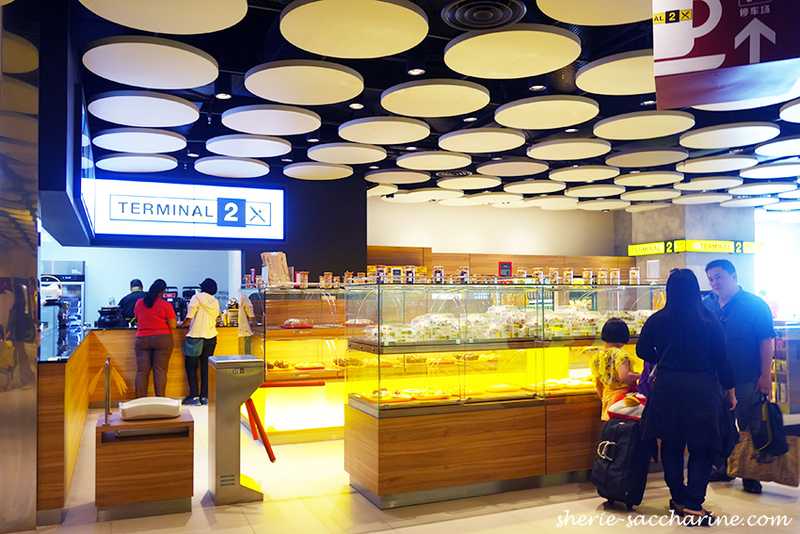 The Terminal 2 Cafe in the lobby offer FREE WIFI(! 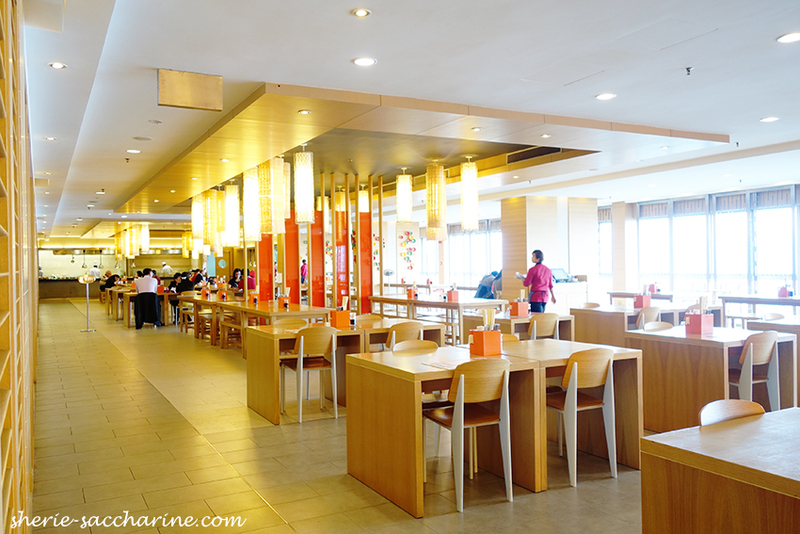 ), and operates from 7.30am to midnight, serving soups, snacks, drinks and freshly baked pastries. 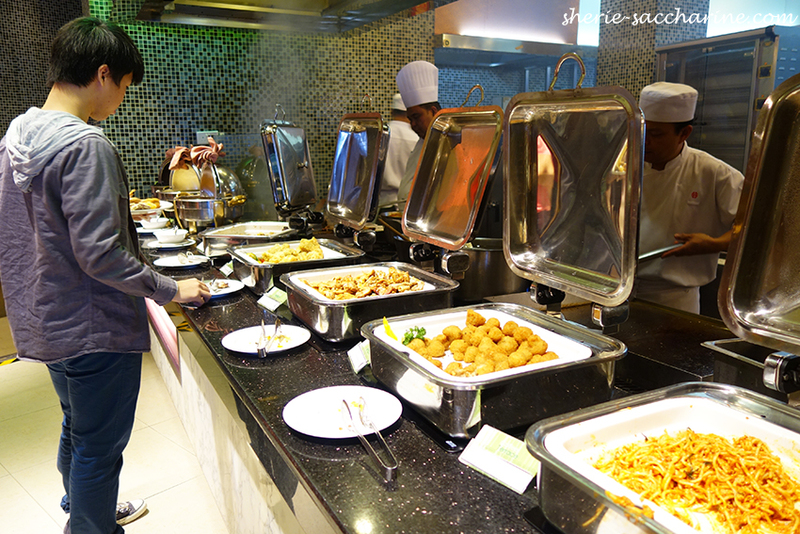 The generous people at Resorts World really fed us well with the great food at the Hotel (the 1kg weight gain was worth it). 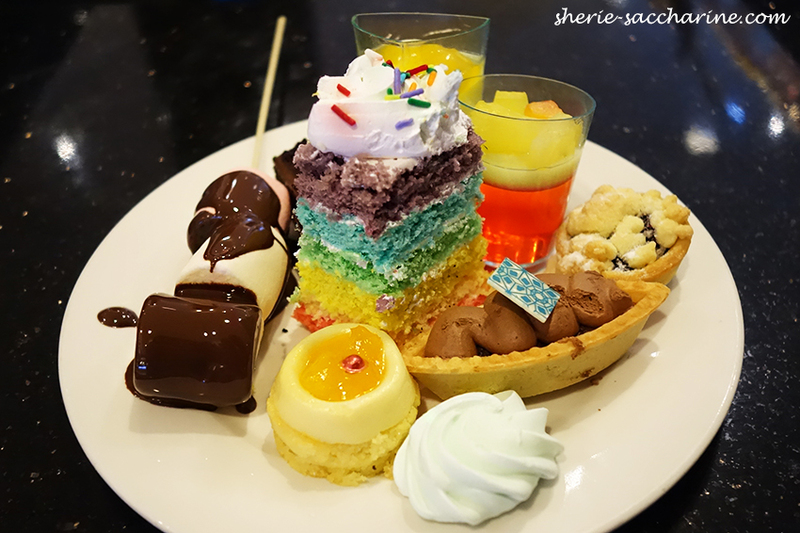 For Lunch, we headed to Coffee Terrace at Genting Grand (lobby floor) to enjoy a sumptuous buffet with great varieties ranging from Chinese, Western, Japanese, Western Asian and Malaysian cuisines. 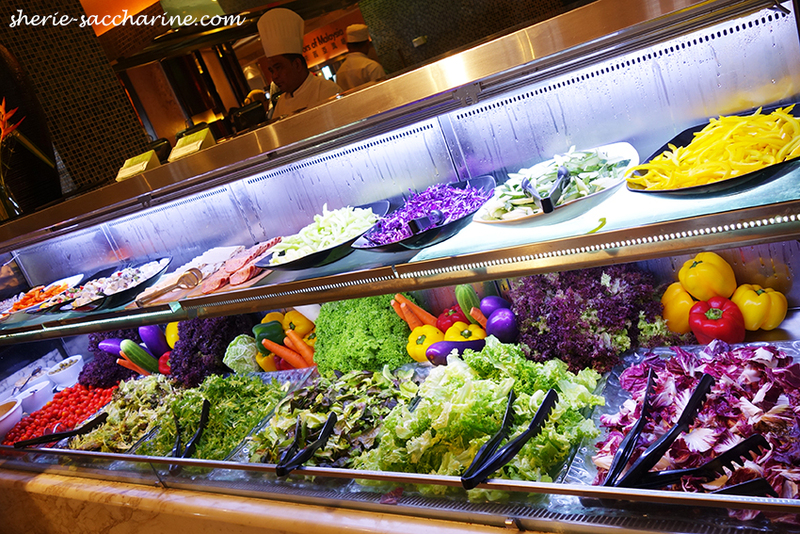 It also houses a super fresh salad bar, and "Screeeeeammmm...." desserts! 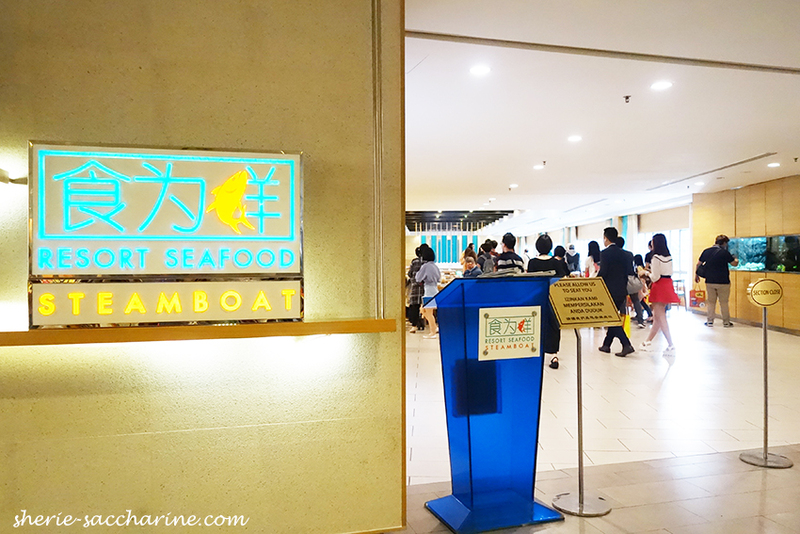 For Dinner, we were excited to try out Resort Steamboat at Resort Hotel (level 1)! 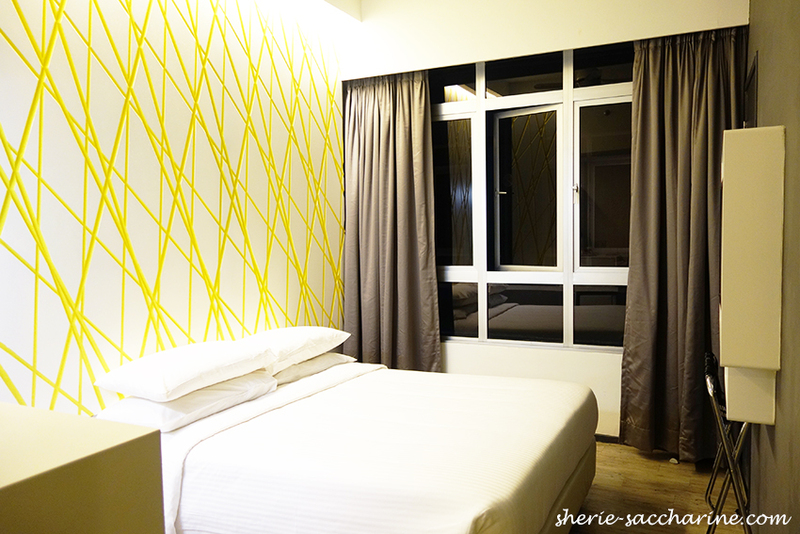 It's a great place for guests who are coming with their family or even colleagues on a company trip. 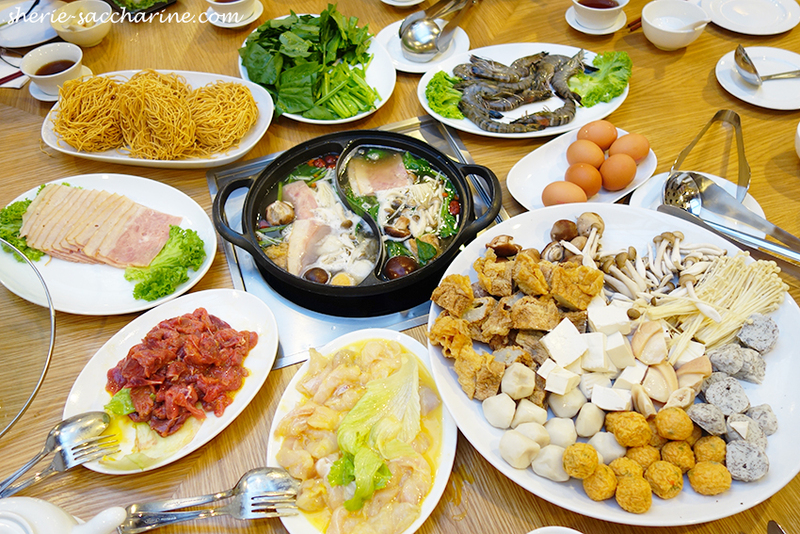 Enjoying steamboat is such a great way to bond with your fellow diners, and it's really cool to get away from the cool in Genting! The bloggers take their best "table-full-of-food" shot. 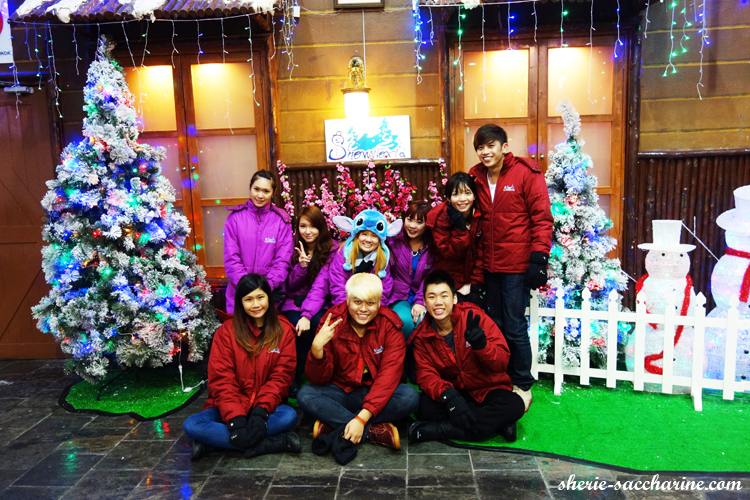 We managed to bear the hunger for 1 MORE GROUP PHOTO before we dug in!!! 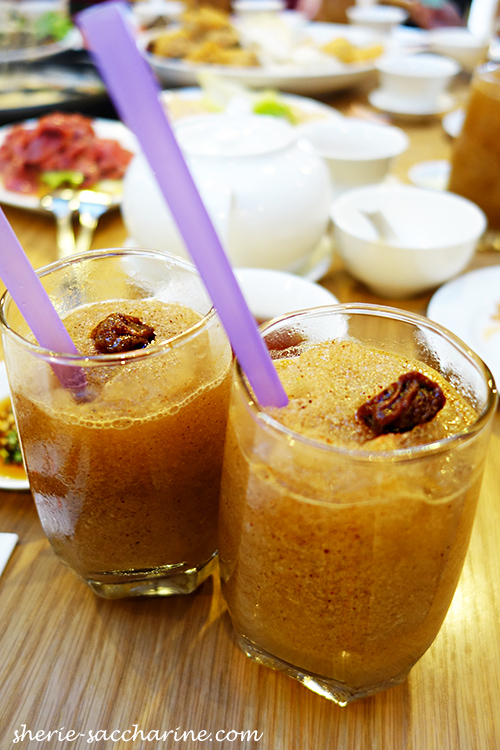 We ordered the refreshing Freezy Calamansi Juice, and boy, it was soooo good and a perfect match for steamboat! 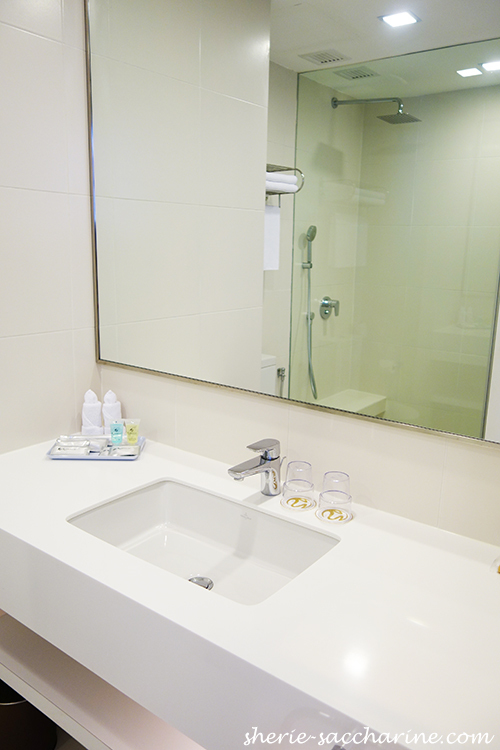 The environment is clean and comfortable, and doesn't leave you feeling oily or smelly after a hearty meal. 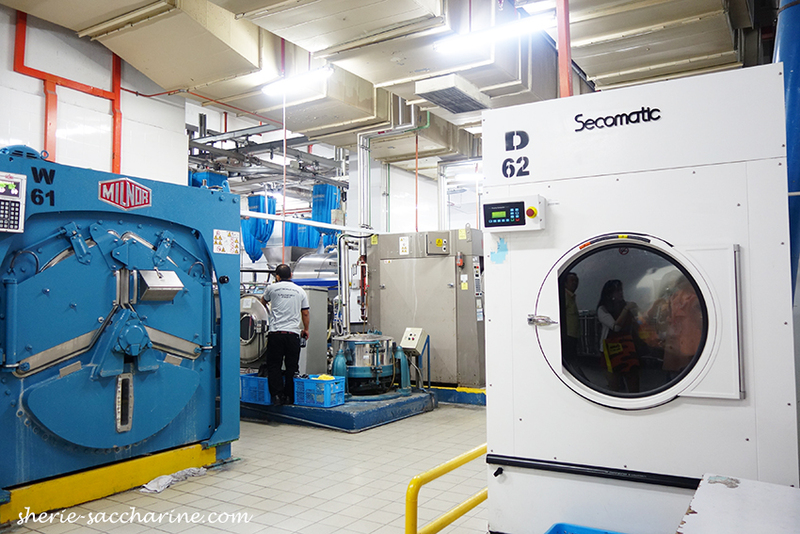 If you are a fan of fresh live seafood and ingredients which are prepared straight from the market and aquarium or air-flown, you know where to go! 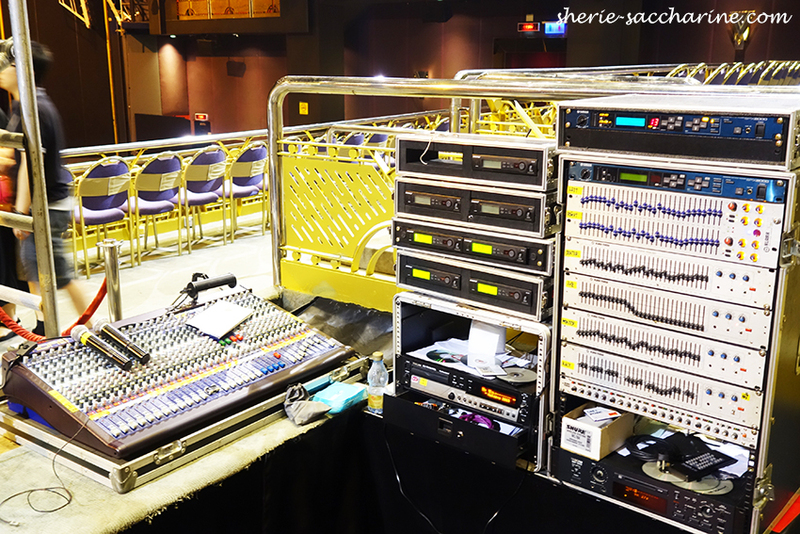 We are all taking the hotel's great food, clean linens, fun attractions and astonishing stage & sound effects for granted, and think that they are a natural expectations of a Hotel and Entertainment establishment. 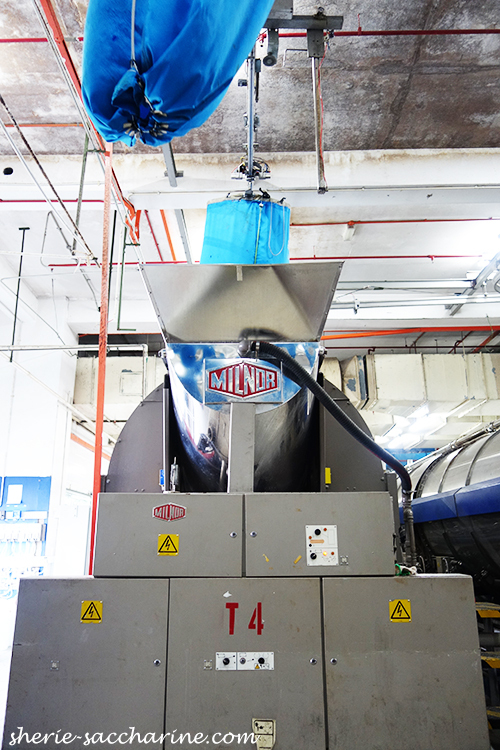 However, if you are interested to find out how these are all possible, and take the opportunity to bring your kids on an interactive educational tour, go Behind The Scenes! 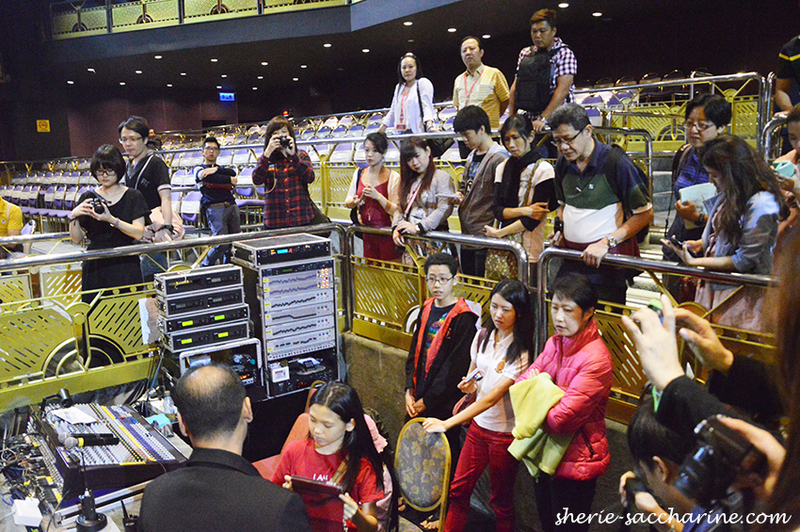 The tour brings you to the different parts of Resorts World to learn more about their daily operations. 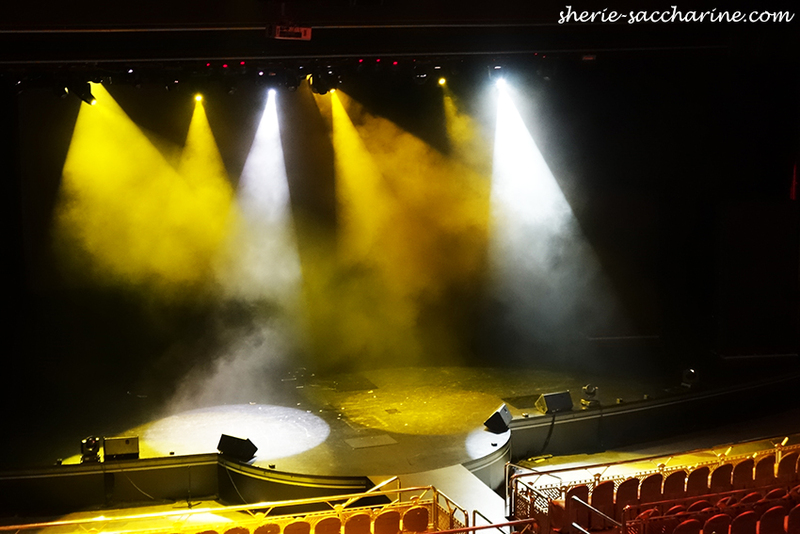 At Genting International Showroom, we were guided by the technical expert who shared all about the special lighting effects, sound systems and all the interesting facts about producing a perfect show. 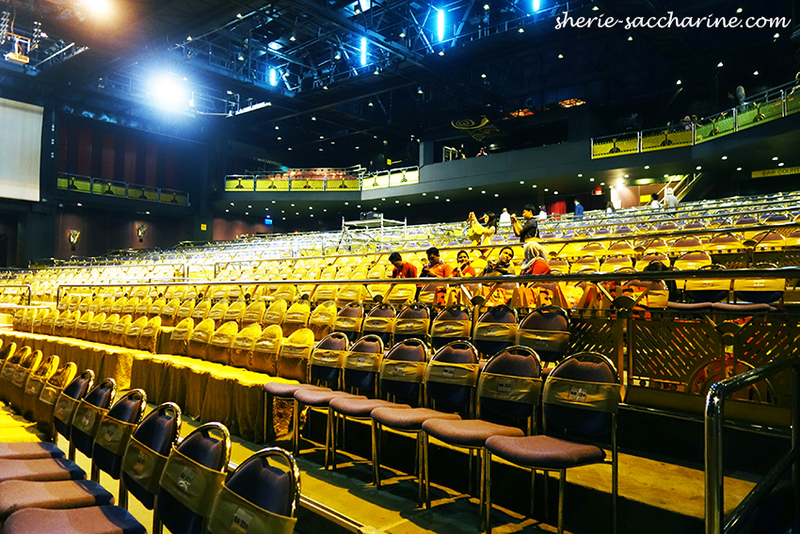 We were in this Showroom for the Superstars Of Magic 4 performance that night, and we were more appreciative of all the hardwork by the crew after the tour. 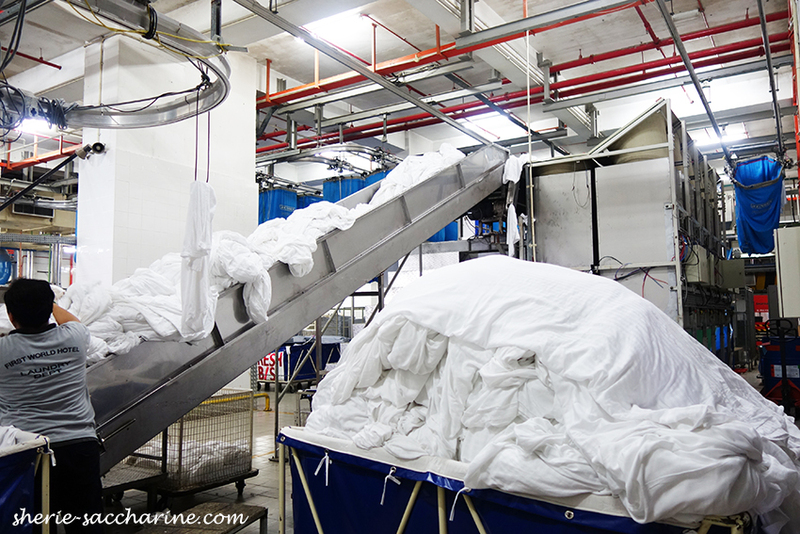 After which, we visited First World Hotel Laundry, the largest hotel laundry in Malaysia which spanned over 26,000sqft and produces up to 38 tons of linens per day. 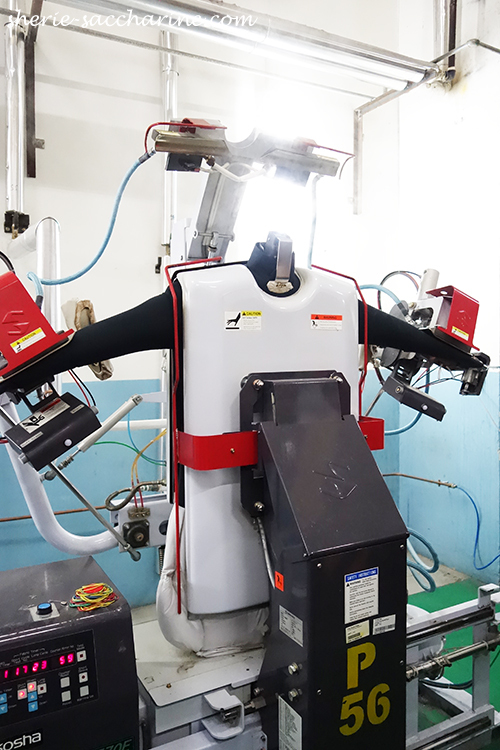 We should all have one of this genius shirt iron that dries and iron a shirt in less than 25 seconds! 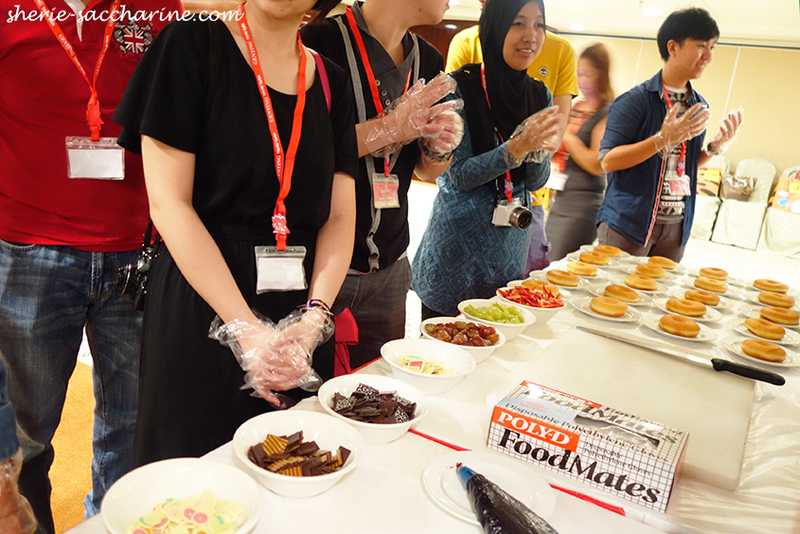 Favourite activity gonna be the See, Do & Eat Workshop! 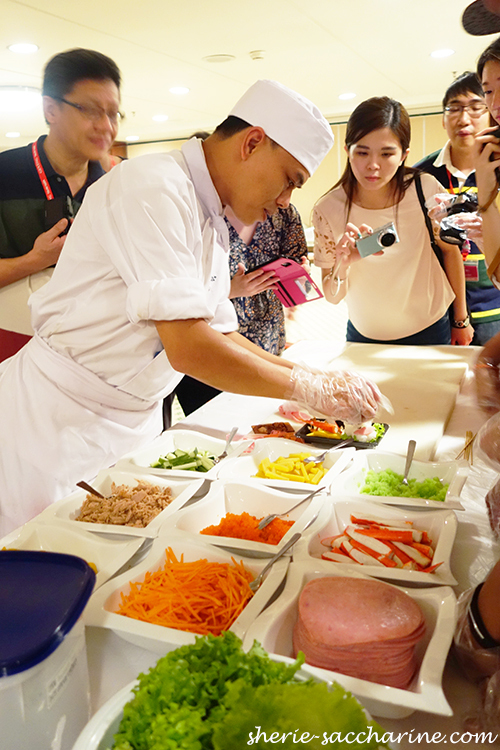 Victor and I tried creating our own Bento and Doughnut with many different fillings and toppings with the guidance of Resorts World chefs. 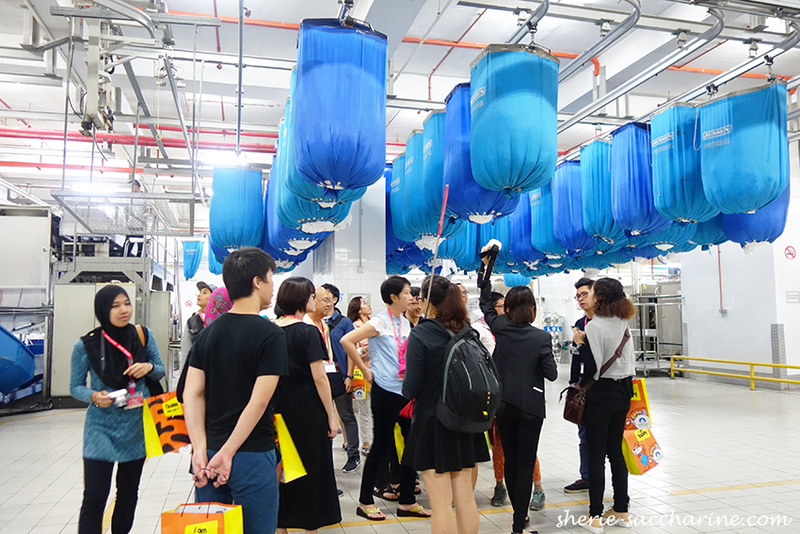 Last stop was at Horizon 50, where we learnt about Genting's inception and development in conjunction with its 50th anniversary. We were also introduced to the future world's first 20th Century Fox World! And we got lucky, cos we met the adorable Mub from EPIC movie! Magic always happens on TV and Youtube videos, and it's amazing to finally see it LIVE! 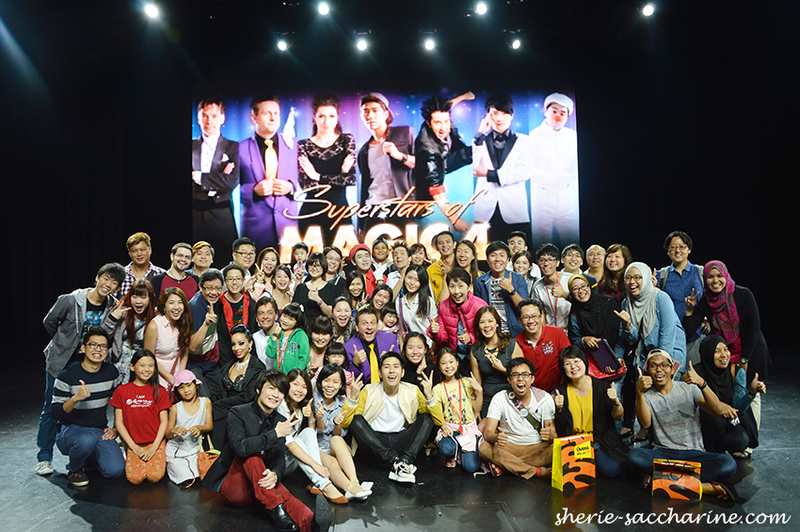 In the 4th installations of Superstars Of Magic, 7 world-class magicians from the East and West get together to bedazzle their audiences from now till 25 Oct 2015! I tried not to include too many photos here because you got to get in there with an open mind and get yourself "Wooo!" "Wow!" 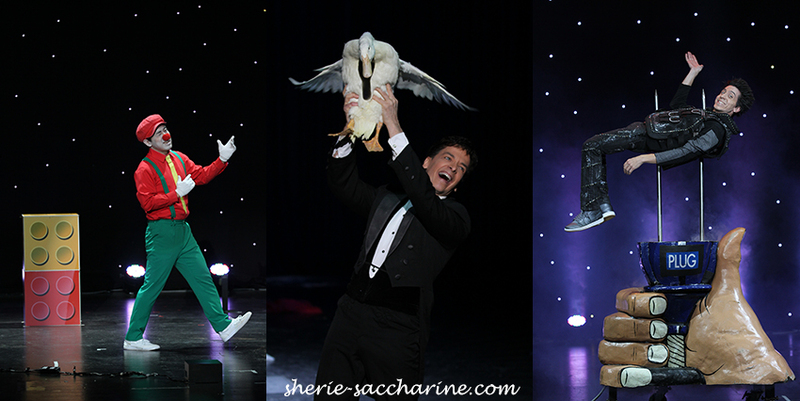 throughout the show! There are many types of acts put up by the magicians with their respective brands of illusions from colours, animals, technology, and cards! 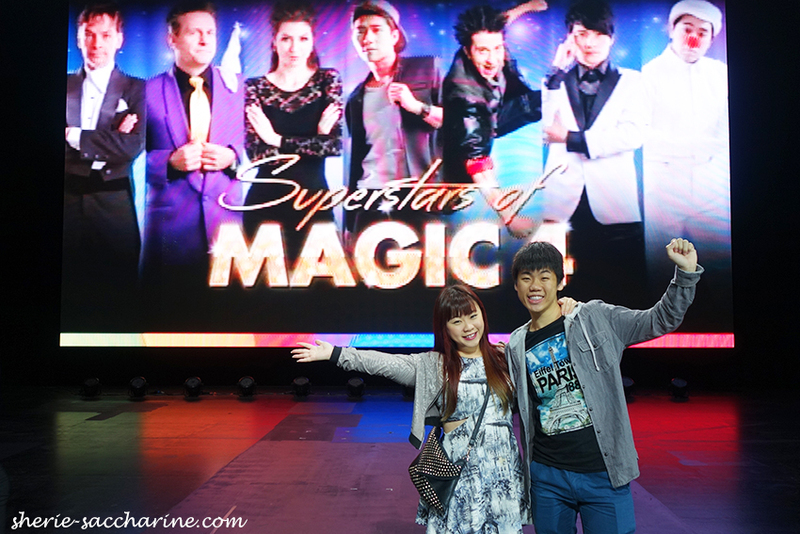 We were fortunate to have the opportunity to take photos with the magicians, and these 2 cheeky and suave Korean are our favourite! 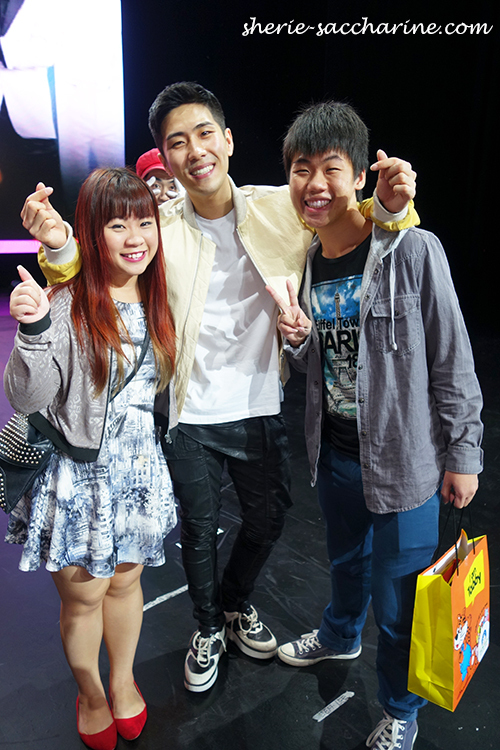 That's cheeky Ted Kim hiding in the back, and suave One Gun with us. Snap snap with all the bloggers from Malaysia and Singapore! Who say you can't have fun without the Outdoor Theme Park? 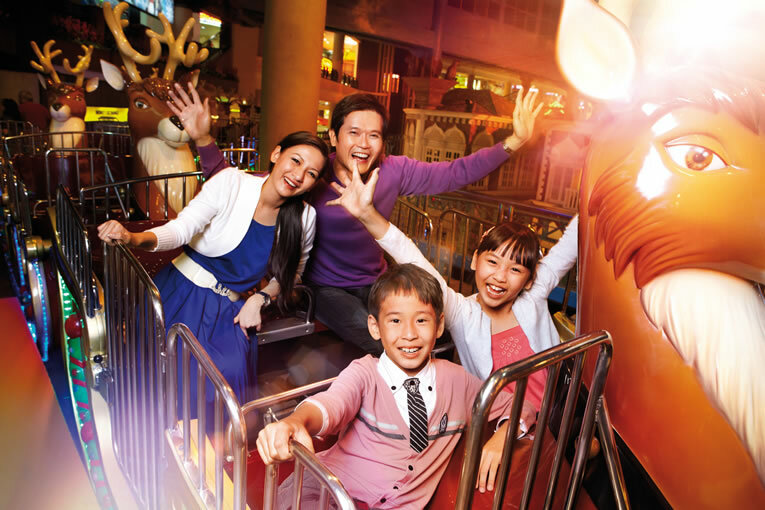 Before the 20th Century Fox World open in November 2016, you and your family could get fascinated by the Indoor Theme Park at First World Plaza too! Since our last visit to SnowWorld in 2013, the new SnowWorld is now a while new enchanted snow-filled fantasy! The new attraction feature the World Heritage concept with a winter downtown street housing an English Tea Shop, French Bakery, Italian Pizzeria etc. occupying 22,800sqft at -6 degree celsius. There's a lot more activities that you can experience with your family, so check out here to find out more! Thank you Resorts World Genting for giving us an fun-filled weekend!